Published in: The Integrated Media Machine: A Theoretical Framework, Ed. M. Yla-Kotola, J. Suoranta, S. Inkinen & J. Rinne. Helsinki: University of Lapland, 2000. 101-120. I have already discussed the concept of hypertext in the past1 when I tried to analyze what hypertexts are, how they work, and how they can be used. I then also described the changes hypertexts are going to introduce in our perception of texts. Placed within the new electronic paradigm, hypertext will introduce substantial changes in our way of dealing with information, of perceiving, creating, preserving, and representing knowledge; in short: our way of thinking. I thus would like to focus here on a special kind of hypertexts: the narrative ones. Moreover, I would also like to talk about my uneasiness as reader of hypertexts; tell about the irritation I cannot avoid when I am faced with the task of reading – or rather of pretending to read – narrative hypertexts, those hypertexts people call interactive novels or short-stories. In order to more specifically contextualize the problem I will start by presenting voices and opinions captured on the Web. “In the electronic context” – writes Heim, firm detractor of cyberculture2 – “the logic of manipulative power reigns at the highest degree. It becomes possible to treat the entire verbal life of human race as a continuous and anonymous code without any important reference to the human presence that is behind it; it does not feel obliged to answer anybody, nor does it feel the need for answers from anybody.” And Heim continues by saying that this electronic state of things well represents the nihilistic condition described by Nietzsche, where everything is allowed, so that nothing is ever chosen, is ever authentic or existential. These fragments of opinions, sometimes hasty and lapidary, bring out some important aspects of the problem I would like to consider: reading hypertexts, and narrative hypertexts in particular, is difficult; often there is no pleasure while reading, there is no understanding of what has been read. Narrative hypertexts are anonymous, cold, impersonal, chaotic, inconclusive. In short: narrative hypertexts are ugly. I cannot avoid sharing, at least in part, these ideas on hypertextual narrative. Thus, unable to get rid of the feelings of uneasiness and irritation I feel when facing a narrative hypertext, I would like here to try to substantiate my reactions. I will, therefore, try to analyze and in part support the reasons of those –and I suspect are many – who, while accepting with enthusiasm the new technologies, are forced to admit, maybe in a low voice, the difficult digestion of the texts that have been produced with those new technologies. In my previous work on hypertexts I have already pointed out some of the most important properties hypertexts have. I will not, therefore, go back to those themes here. However, in order to properly contextualize hypertextual narrative, I need to outline once more at least a few main ideas on how to create and read or navigate hypertexts. a set of commands allowing the reader/user to create new nodes and new links. I would like to add a few considerations to this short definition of node. First of all, we should remember that the access to the content – mostly multimedial – constituting the node can be either linear or non-linear. Moreover, both the multimedial information of different nodes, and the relationships existing among those nodes can be easily changed and expanded. In other words, a fundamental characteristic of hypertexts is their being dynamic: hypertexts, within certain limits and conditions specified by their authors, are interactive and re-shapeable according to the needs, tastes, and capabilities of the readers/users. As a result, the readers/users become co-authors in all respects. I will talk more extensively about these and other features of hypertexts later. Particularly, I will focus on the idea of non-linearity , since I feel the analysis of this core-concept to be essential in order to provide an explanation accounting for the difficulties we meet while reading narrative hypertexts. For the moment, I think that such a short description of the basic properties of hypertexts is good enough to allow me to deal with a special form of hypertextual organization: the narrative one. Various textual theories aim to provide precise analysis of the leading principles establishing the coherence of the whole narrative sequence, allowing the inclusion of single cells inside a much wider whole. Such theories also attempt to dictate some of the possible definitions and construction criteria of the narrative cells, as well as of such cells constitutive elements, be they objects, characters, ideas. The same theories likewise attempt to identify the organizing guidelines according to which narrative sequences are generated. Conversely, in view of the hypothesis I would like to illustrate here, it is not imperative to go any further into the details of the above-mentioned analysis. It will suffice to discuss the definition of narrative on a general level. I will therefore consider only those that, according to Eco – who finds this notion in van Dijk who, in his turn, cannot avoid referring to Aristotle – are the basic conditions for a narrative sequence; a sequence that could thus be defined as part of a fabula, namely a chronologically ordered succession of narrative cells, as specified above. From these brief and general preambles on hypertexts, I think it possible to utilize now the definitions offered above to more thoroughly investigate the nature of narrative hypertexts, or hypernarratives. Let’s now go back to the definition of hypertext suggested a couple of pages back. If we conceive hypertexts as clusters of pages or of nodes connected with each other by means of different links, we can observe how such a description is readily apt also to characterize printed or chirographic texts. This allows us to maintain a connection between hypertexts and the more traditional texts we are used to, so much so that we can then conceive hypertexts as developed extensions of printed texts. Hence, it then seems reasonable and helpful – also while talking about hypertexts – to re-introduce the distinction, already widely used for printed texts, between narrative and non-narrative texts. In the case of hypertextual material we will thus have the possibility to identify two wide groups of hypertexts as well: the non-narrative hypertexts and the narrative hypertexts. Starting from the above-mentioned definition of narrative, we can classify as non-narrative all those hypertexts whose segments are not (or do not seem to be) parts of the fabula. I still intend to underline that from what stated above it should be by now obvious that such a distinction is at least questionable, and is here used simply as a reference, being grounded on a traditional idea of narrative, an idea now challenged by the very existence of hypertexts. Once accepted this principle, it is then possible to speak of non-narrative hypertexts when referring to encyclopedias, dictionaries, manuals, scientific or critical essays, and, in general, most of the texts created for the Internet and present on the Internet. In this category should also be included both non-narrative texts directly devised and created as hypertexts, and linearly structured texts (originally existing mainly in printed form) that, for various reasons, have been “hyper-textualized” in order to be accessed via computer. Clearly, as a consequence, we could now classify as hypernarratives all those hypertexts in which the segments are (or seem to be) parts of fabula. At least for the time being, I would like to analyze here, mainly in structural terms, those hypertexts that more or less explicitly present traces of narrative elements. Following Gareth Rees’s useful suggestions,6 I believe it possible to attempt a more complex subdivision inside the category of hypertext. Before this, though, I would like to make clear that when I speak of hypernarratives I am mainly referring to texts in which the verbal component is prevalent. Such a restriction is certainly not needed (especially when analyzing hypertexts), but I think it helpful in order to maintain some connection between a kind of narrative that we could label as “traditional” and its electronic, hypertextual offspring. Indeed, when we add also visual and/or audio elements to the verbal component of a narrative hypertext, it is surely still possible to speak of a form of narration, even if in this way the border between this and other forms of narration becomes more indistinct and not easily identifiable. In this respect, it suffices to think to the complexity of the narrative forms suggested by films to really understand the very practical need of comprising hypertextual narrative in the much more restricted spaces of the almost exclusively verbal realm. I must acknowledge, notwithstanding, that this restriction, almost similar to an imposition, is in reality very problematic when applied on hypertexts, since it seems somehow to adulterate what, as we have seen above, is a quintessential element of the hypertexts themselves: multimediality. Let’s anyway consider some of the possible forms of mainly verbal hyper-narratives. In this case, it almost goes without saying, the links connecting a section of the text to another are almost completely ornamental, mainly created for readability requirements of a continuous text inside the limited frame of a computer monitor. In order to be able to read the continuous text, instead of scrolling down, it is then possible to use arrows, buttons, highlighted words, etc. connected to subsequent sections of the text itself. In this way, the fragmentation of the text in separate segments (the screens) does not change the original organization of the text itself, that indeed remains essentially linear. At the most, we can consider as marginally hypertextual those works – and there are many of them now on the Web – originally created as printed texts then, as described above, transformed in hypertext, and containing however links to critical notes, commentaries and, in general, references to other texts, both narrative and not-narrative, more or less close to the original text in question. In this way, the alternative episodes to be selected will offer more or less parallel events, leading at any rate to analogous conclusions. Thus, those events could not certainly be determined in terms of the plot itself, that would instead be devised only by a limited number of main (and unique) episodes. Moreover, a story structured in this way, will offer only one conclusion, or, at the most, a limited number of parallel endings that would still develop from forking presented in the penultimate leading episode. Although disguising themselves as hypertexts, narratives built in this way are still essentially linear and, we could say, well-formed (in accordance with Aristotelian principles). They contain an univocally identified beginning, a body, and an ending. Part and parcel of this kind of hypertexts are all those games (even only verbal ones) mistakenly defined interactive, such as, for instance, the fantasy books of the series “Choose Your Own Adventure,” or their more appealing computerized versions. When taking part in similar stories, the reader/player is projected in adventures whose themes are all more or less canonized (for instance, description of wrong, loss of wealth or of love, separation, quest, struggle against the enemy, victory, rescue, reward with gift or powers, fulfillment of desires, punishment of the villain, etc.). Analogously to traditional narratives, also such stories are constructed by linking together series of episodes, each conceived in such a way to be a sufficiently autonomous narrative segment. Differently from what happens in traditional stories however, each episode avoids as much as possible to take into consideration the consequences of deeds completed in other episodes. Likewise, it also avoids describing deeds whose consequences could be crucial for the future development of the story itself. Hence, independently from the episodes read, the reader – despite his/her illusion to be the creator of his/her adventure – will be forcefully led to some precise final goal, or, at the most, to a defeat that, generally, coincides with the death of hero, the alter ego of the reader. It would seem possible to prudently claim that tree-hypertexts with true forkings are “real” hypernarratives. Structurally speaking, this kind of hypertext is similar to the one we previously examined. In this case, however, each forking at the end of an episode introduces a new autonomous episode. In its turn, this second episode forks into other new episodes and so on, thus contributing to the development of a multiplicity of different stories, whose plots are not necessarily parallel. At each given narrative moment (or narrative segment), each of these stories shares only those (past) episodes belonging, up to that point, to the same main branch of the tree representing the story as a whole (look at Figure 2). An interesting consequence of this fact is that every new reading of “the same” story constructed in the way described above can lead the same reader towards completely different and often diverging narrative developments. And, of course, this makes such stories quite unique, since they seem to work within a narrative land not really investigated yet. Precisely because of how they are generated, they manage to explore and bring to a conclusion, almost in a systematic way, a multiplicity of narrative situations all potentially comprised in the individual initial narrative segment. Thus, similar stories succeed to give a tangible form and existence to those invisible plots that, in a traditional narrative work, are doomed to remain in the realm of the untold, or whose development is – often intentionally (and fortunately) – left to the imaginative capacity of individual readers. However, at a closer exam, these hypernarratives with true forkings do not warrant what they seem to promise. They carefully avoid organizing their narrative units according to that non-linear logic that should be the most interesting and peculiar aspect of hypertextual narrative. Indeed, for a “normal” reader – a reader thus incapable to have, while reading, a complete view of the whole narrative tree (a condition that I would call typical), a reader who follows, link after link, any of the possible narrative paths – the narration will seem absolutely linear, or at least linear as any traditional and well-formed narration. We should moreover consider that the inability of the tree-hypernarratives with true forking to organize the narration according to non-traditional criteria does not certainly represent the most problematic aspect linked to the production and the fruition of hypernarratives. Stories thus structured present other significant shortcomings and drawbacks. The most important one is what can be defined as the exponential trap, in which each complex narrative of this kind falls. A narration whose plot develops following progressive bifurcations is conceived in such a way that the reader, at the end of each narrative segment, is invited to make a choice determining a future possible evolution of the story. Even in the simplest case, however, of a story made of a limited number N of narrative segments, each foreseeing only two possible forkings, it is easy to verify that the whole story-tree will have to include a total of (2N–1) segments. If for instance, we have a short story made of 10 episodes or segments, each no longer than 150 words (about half a printed page), the “story” as a whole (meant as ramification of all the episodes) will comprise (210–1) episodes, that is to say 1023 episodes, amounting to about 510 printed pages. This gives us the indication of the quantity of work a writer has to face when writing a hypernarrative of this kind. If the technique the writer needs to construct his/her narrative work is relatively simple, certainly we cannot say the same for the writing of the whole aggregate of episodes constituting the narrative tree. As a matter of fact, several hypernarratives of this kind are already available to any user capable to surf the Web. However, taking away from a single author the immense task of building a tree-narrative simplifies, but of course does not solve, the managing problems a narrative of this kind implies. The main limitation involved in such an organization of the narrative space is imposed by the length of the story. These stories cannot avoid being short. I do not intend, of course, suggest the idea that the quality of a narrative work should be directly proportional to its length, so that the shorter the story, the lesser its literary value. My intention is instead to underline the fact that shortness in polyphonic tree-structured stories is not a conscious choice made by the author of the work, but rather a limitation imposed on the author(s) by the very structure of the work. Suffice to make a couple of new and easy calculation to understand why a tree-structured story with true forkings cannot really be longer than few pages, unless the number of the narrative segments be extremely limited (so that each segment would be longer and, therefore, more narratively substantial) and, as a consequence, also the number of the possible forkings be limited. Similarly to the previously described case, let’s consider a simple story with binary forkings built by assembling together 30 distinct episodes, each with an average length of about half a page, so that, when reading, each finished story be about 15 pages long. Well, such a story, in order to be completed, would require more than a billion of authors writing it, each engaged in the completion of a single narrative segment. Moreover, such a story would need, at least as of today’s technology, a significant percentage of the Web space used by the Internet-users all over the world to store their data. Furthermore, it is easy to understand that, if this writing procedure employing a billion of voices is still possible from a technical point of view (given the willingness of a billion users to attempt such a tedious task), the coordination of these writers’ activity becomes instead impossible. Thus, while it is possible to complete the reading of some of the stories belonging to the narrative tree, it is surely inconceivable that either an individual or a group of people could read all the episodes in all the forkings of the story. If we try again to make some easy calculations, we see that given a typical reader, with a reading speed of about 100 words per minute, and given a typical page (that is, a printed page) containing about 300–400 words, our hypothetical reader would need a little over 3000 years of continuous reading to read all the episodes of a 15 page story. Hence, the impossibility to verify that all the episodes belonging to the same branch are written according to the above-mentioned basic narrative requirements appears more than evident. And if this “respect for the rules” is certainly not a necessary requirement for the creation of an acceptable literary work, it seems nevertheless to be at least a condition cherished by the reader when confronted – as he/she will be in this case – with stories built by means of a linear narrative development very similar to the one most traditional narrations use. Once the Author disappears, multiplied in thousands voices and thousands minds around a generative knot, what ensues from the development of that knot is a Great Story, or, in other words, the synthesis and the intermixture of genres and styles, a rather unstable blend of events, ideas, and characters that will hardly cause in the reader anything more than a detached interest. A possible alternative to tree-hypernarratives with real forkings may perhaps come from the employment of technologies producing expert systems. I am referring to seemingly sentient programs, electronic quasi-authors equipped with a Story Engine, an engine for the production of countless stories. At least according to the programmers’ intentions, such stories should capture the writer’s intuition and – from an initial idea – create on his/her behalf environments, plots, and “well rounded” characters according to the rules organizing the perfect narrative. It is already possible to see on-line stories created with the help of similar programs. Hence, it is obvious that, were we so naive to believe what the creators of such programs declare, we could think that such texts represent the solution to the exponential trap described above. For instance, from a draft of a plot conceived by a human author and conveniently summarized by means of a series of short answers to basic questions, any such program aiming at the inexpensive and fast creation of well-formed (again, in an Aristotelian sense) perfect stories selects up to thousands and thousands of possible developments of the story itself. It then creates diagrams from them, decides the most suitable names for the characters, the themes, the problems, the solutions, the organization of the narrative cells, the points of view, the sequence of events, and so on.8 Who, better than such an unwavering program could create tree-structured stories with true forkings and then test – without feeling bored and at a speed impossible for the human mind – the coherence of each possible path, the consequences of each possible action, the presence of any possible logical contradiction? If these stories are structurally almost identical to those discussed above, they, differently from the former, easily manage to avoid becoming a confused and incoherent amalgam of ideas and styles. We ought not to forget, however, that even in the most positive and improbable situation, were we really able to have stories almost entirely written by machines – complex stories with dozens and dozens of episodes, with hundreds of different plots – we would still nevertheless face narratives designed according to an unequivocally traditional perception of literature, with clear and defined beginnings, convincing developments, and precise endings organizing and resolving the narrative tension. In short: we would have, once more, clusters of well-formed stories, maybe even pleasant to read. In any case, they would still be linear stories, stories that, very likely, would bring nothing new to the evolution of the literary forms, except the fact of having been written by machines pushed to imitate human beings writing traditional stories. At this point, we should ask ourselves the following question: is there a solution to the tree-structured hypernarrative with true forkings? Is there a kind of hypertext that, while foreseeing and avoiding the exponential trap and incoherence could create a complex, engaging, and, at the same time, readable narrative? We cannot deny to Borges the prerogative of having tested – here and elsewhere thoroughly and with genius – the limits of the structures of the traditional tale. In “The Garden of Forking Paths” Borges sets the basis for the theoretic discussion on the structures of a tale that not only implies a multiplicity of interpretations, but also a variety, or rather, an infinity of simultaneous universes in which all the possibilities are accomplished in all the possible combinations. On the other hand, “The Garden of Forking Paths,” the tale-labyrinth conceived by Ts’ui Pên is, in Borges’s story, only the indefinite object of a philosophical speculation, a metaphysical entity not easily to be constrained within a concrete text. Conceiving such an entity is certainly not easy, but neither impossible. Conversely, it is different to concretely create a work of fiction similar to Ts’ui Pên’s, that is, to create a finite labyrinthine tale that could still be the source of infinite stories. Indeed, if there are numerous pseudo-hypertextual narratives on-line, very few are hypernarrative with rhizomatic structure, while even less are those that seem to work, those containing narrative cells that push the reader to real choices of reading paths and that, at the same time, do not avoid the challenge of the complexity. Similar stories develop precisely in the way scrupulously avoided by the other pseudo-hypertextual narratives described above: the events of a narrative cell are not left behind once the reader jumps to a new cell. The consequences of an event are kept in the characters’ memory and are moreover used to modify the plot. On the other hand, the references do not develop according to a tree-like structure with branches ramifying in exponential way. Such references to other narrative cells are chronologically, spatially or logically either subsequent or preceding; moreover, at times, they are references to passages of the story already read, but that gain new meaning, given the fact that once one goes back to a passage already encountered, unavoidably one knows elements of the story that could have not been known at a first reading. And this is precisely the point: each cell one lands on or to which one goes back must be conceived in such a way to be understandable at a first reading, even if the reader does not necessarily know the events scattered in other areas of the story. At the same time, each cell should also keep being the source of new significant and coherent information, even during a possible second or third reading. It is easy to understand that the creation of narrative works arranged in such a complex way is really a very difficult procedure, challenging any traditional concept of plot. It is a challenge to the connection between cause and effect, a challenge to a linear perception of time and to a consequential series of events, a challenge to the very nature of memory, of remembering, of knowing and of recognizing. We can now pull things together and try to find a more tangible reason for what, in the beginning of this work, I defined as a sort of irritation towards hypertextual narrative. By now, it should be clear that if we are dealing with tree-like narratives, either with false or true forkings, we cannot really assert to be confronted with something radically new. In these stories the linear organization is entirely preserved; moreover, the compositional principles generally used to construct these stories do not really differ from those commonly employed in more traditional stories written on paper. On the other hand, we must admit that the same set of principles used when writing (and reading) more or less traditional narrative sequences does not seem to be useful when we are dealing with web-like hypernarratives, in which, as we have seen, the linear organization defining the narrative progression is entirely disjointed. On the basis of what we have seen so far, I think it is not difficult to understand the meaning of such a statement: we cannot write “true” (that is, web-like) hypertextual narrative unless we re-define the very concept of narrative. Authors, readers, and critics will have thus to face the serious problem of re-thinking and re-structuring all the traditional narrative categories: those same categories defined by Aristotle in the Poetics and maintained more or less unchanged for over two millennia. But this conclusion should not be surprising. After all, the whole history of narrative, from the oral tales of the cultures with no writing to the experimental works produced by avant-garde writers, has been the history of a slow, constant re-shaping of those few, but complex and problematic concepts used to define what narrative is (or should be): time, space, characters, organization of the events, and so on. On the other hand, history, and, in this case, not just the history of narrative, shows that, over the centuries, people have often reacted with a sense of uneasiness towards the new and the unknown. And this is particularly true during periods of transition from one cultural paradigm to another, when the rules people learned to recognize and use in order to cope with the world suddenly start becoming obsolete. The pace of the change becomes too quick; all of a sudden the world seems to work according to new principles; principles difficult to see, understand, or control. Under these circumstances people feel inexorably cut off from the world. What can be the natural reaction to all this, then, but annoyance, uneasiness, or even fear and rejection? The same can be said about hyperfiction: the new-born narrative is only one among the many things or events in the world that manifest the change under way, the sliding of the Western culture towards the electronic paradigm. Hypertextual narratives, as well as many other cultural elements generated within the new paradigm, force us to face our inadequacy to cope with novelties: we realize that we do not truly understand what we read; something seems to escape our reach, while we receive messages that we are not able to fully decipher. This inevitably happens because we all are descendants of both the culture of the written word and that Greek invention called linear logic. By means of this logic we have developed specific coding criteria enabling us to perceive, define, conceptualize, and understand specific portions of reality, and to appreciate certain elements that seem to characterize both such reality, and certain peculiar relationships among those elements. Crucial concepts such as cause and effect, coherence, order, acceptability, classification, organization, hierarchy, centrality, generalization, and exemplification are essential parts of the conceptual system we employ in order to see and construct the world (or, rather, a variety of worlds) we live in, as well as the narrated worlds we like to write and read about. In turn, all the above concepts are related, in a way or another, to the idea of line. In our culture the line is such fundamental concept that we take its presence for granted, as if it were an absolute truth. We see it in the visible nature, between material points, and also between metaphorical points, such as days or actions. When we think about personality and character we assume the line as axiomatic. Our behavior is often shaped by an implicit line. We visualize the processes with lines; we trace conclusions from data. Even when we describe personal events or experiences we use the line as a guide, and we feel that we must order the events according to a linear order. Usually, we arrange events in an organized sequence leading to a climax, a culminating moment, so that those events, actions, ideas, emotions follow one another in a progression of increasing intensity. In our culture very rarely can we value the present in itself. We can understand the value of events and/or states of things only when we establish some relations these events or states have within a progression, while aiming to a certain goal. Hence, most of the times we organize the events chronologically: the before is antecedent to the after, the past comes before the present, the present has repercussions on the future. We often find it necessary, almost inevitable, to organize a whatsoever story – especially when we are involved in it – according to this distinction between past, present, and future, and also around a climax. The story goes from…. to, and it tends to attribute values in compliance with a hierarchical order, an aim, or even logical or temporal positions defined with reference to a central idea or event. And since we see our history always in terms of progressions towards a climax, we also program our future experiences in terms of climax, so that these experiences could hopefully carry into our lives future meanings and pleasures. In short: we only pretend to be syllogistic beings. The logic of the line is an invention of the Greek culture and, as such, it certainly does not determine, as often people tend to believe, the natural structuring of human cognitive processes. However, even if the linear logic does not necessarily determine the structuring of human cognitive processes, it has been crystallized into Western minds for so many centuries that has become invisible and all-absorbing, so that it consistently shapes and conditions our cognitive processes. Therefore, in many circumstances of our lives, we are syllogistic beings: we tend to behave as such and we expect other people to show syllogistic behaviors. All this has deep repercussions on our ability to appreciate the electronic, hypertextual narrative. Of course, by now it should be clear that, if we want to have real hypertextual narratives, the first step we need to undertake is to work on the process – already in progress – of re-writing the rules governing the composition of narratives. Especially during this century, many writers have already struggled in the attempt to get rid of the bounds the printed-paper and the book forced them to work with. We only need to think of all the literary works questioning and challenging conventional narrative modes: novels or short stories that altered or abolished well-established fictional elements such as character, plot, setting, point of view, and time, to name but a few, in favor of sudden transitions, repetitions, circularity, geometrical patterns, the collage, the pastiche, the matching of heterogeneous materials, the intrusion of non-verbal or multimedial elements, the lack of authorial analysis, the dissolution of logical rules, the multiplying of endings, the deconstruction of time and space, and so on. Thus, on this perspective, the hypertext is just another tool – the most recent and technological one – writers found in order to accomplish their creative task. However, re-writing the rules governing the creation of new forms of narrative will not, by itself, allow us to properly deal with hypertextual fiction. A new set of rules will not necessarily enable readers to understand the stories resulting from such rules. Moreover, the understanding of those generative mechanisms will not automatically induce into the readers the pleasure for the text, nor will set the canons for a new aesthetics. All this cannot be easily accomplished in a short time. While we are already in the process of re-writing the rules for writing fiction, it seems to me that we are not close to the accomplishment of the second task. If, on the one hand, we know (that is, we understand in a logical sense) how to produce and analyze hypertextual works, on the other hand, we have not developed and assimilated yet the proper cognitive prototypical configurations which would enable us to find these works pleasant to read and aesthetically appealing. Even if it is true that we are more and more often plunged into the electronic paradigm – a paradigm that, through the Web, video-games and video-clips, cyberspace, and hypermedial environments offers us enlightening perspectives of complex, multimedial, and non-linear worlds – we still belong too much to a culture strongly shaped by linear logic and by the printed word. Overall, this culture is our primary system of prototypical configurations, a system we trust and use to model our perceptions and our behaviors. Prisoners of such a system of prototypical configurations, whenever confronted by non-linear narrative patterns we don’t exactly know how to deal with them. Most of the times we still perceive them as disorganized or even chaotic and inconclusive; most of the times we find ourselves naturally (and unconsciously) predisposed to translate them into what we know better: linear patterns organized according to those “basic conditions for a narrative sequence” introduced a few pages back. Nevertheless, these translations still carry with them an after-taste of the non-linear land they come from. It is the taste of something we try to cope with not knowing much about. Thus, it should not be surprising that we don’t like them. Most of the times, we prefer to go back to traditional fiction: it is easier, more understandable, safer; therefore, it is nicer. Maybe, writers of hypertexts have already found a way to create a new form of fiction. They might even have discovered a way to enjoy writing such works of fiction. As for the pleasure coming from the act of reading them, well, for that we might need to wait a little longer. 2. Quoted in May 1991. 4. Bourneuf & Quellet 1976: 33–35. 7. On this issue, which is central in the contemporary debate on literature and new technologies, see Bolter 1991; Coover 1992; Coover 1993; Landow 1992. 8. Among the several programs available on sales a good one seems to be Dramatica Pro 3.0, endowed with a powerful “story engine.” For more detail see http://www.dramatica.com/. 9. With such a word I refer to the concept of rhizome as presented and developed by Deleuze and Guattari 1980; I used it within the hypertextual theory in Cicconi 1999. 12. On the concept of linear coding of reality as practiced by our Western culture, and on the possibility to find different, alternative, and non linear ways of coding reality and creating narrative structures, see the very useful essay by Lee 1977. – Non Linearity and Literary Theory. In: Landow, George, P. (ed. ), Hyper/Text/Theory. Baltimore & London: The Johns Hopkins University Press, 51–86. – Introduzione. 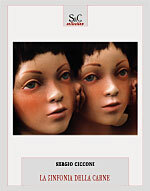 In: Pynchon, Thomas, V., Milano: Rizzoli Libri S.p.A.
– Interfaccia e Ipertesto. Semio-News, n. 8 (March 1993), 1-4. – Sociomedia: Multimedia, Hypermedia, and the Social Construction of Knowledge. Cambridge: The MIT Press. – The Pleasure of the Text. New York: The Noonday Press. – Appunti di retorica ipertestuale. Semio-News n. 8, (March 1993), 1. – A New Art Form: Hypertext Fiction. <http://weber.u.washington.edu/~hbecker/lisbon.html>. Berk, Emily & Devlin, Joseph (eds.) (1991). – Hypertext/Hypermedia Handbook. New York: McGrow Hill. – Patterns of Hypertext. In: Shipman, Frank & Mylonas, Elli & Groenback, Kay (eds. ), Proceedings of Hypertext. New York: ACM. Available also at <http://www.eastgate.com/patterns/Print.html>. Bettettini, Gianfranco & Colombo, Fausto (eds.) (1993). – Le nuove tecnologie della comunicazione. Milano: Gruppo Editoriale Fabbri-Bompiani-Sonzogno-ETAS. Bettettini, Gianfranco & Gasparini, Barbara & Vittadini, Nicoletta (1999). – Gli spazi dell’ipertesto. Milano: Bompiani. – Writing Space: The Computer, Hypertext, and the History of Writing. Hillsdale, NJ: Lawrence Erlbaum. – Degrees of Freedom. <http://www.lcc.gatech.edu/~bolter/degrees.html>. – The Garden of the Forking Paths. In: Yates, Donald A. & Irby, James E. (eds. ), Labyrinths. Selected Stories & Other Writings. New York: New Directions. – The Book of Sand. In: The Book of Sand. Translated by Norman Di Giovanni. New York: E. P. Dutton, 118–119. Bourneuf, Roland & Quellet Réal (1981) . – L’universo del romanzo. Torino: Einaudi. – Toward a Theory of Hypertextual Design. <http://ftp.lib.ncsu.edu/pub/stacks/pmc/pmc-v3n02-burnett>. – As We May Think. The Atlantic Monthly, July 1945. Available also at <http://www.ps.uni-sb.de/~duchier/pub/vbush/vbush.shtml>. – Il Critico Navigante. Genova: Marietti S.p.A.
– Lezioni americane. Milano: Garzanti. Casetti, Francesco & Di Chio, Federico (1994). – L’analisi del film. Milano: Bompiani. – The Engine of Reason, The Seat of the Soul. Cambridge: The MIT Press. – Prime navigazioni in rete. Introduzione alle reti informatiche. In: Quaderni di Ricerca e Didattica: Sistemi Segnici e Loro Uso nella Comunicazione Umana, n. IX, 1993. Dipartimento di Filosofia e Scienze Umane dell’Università di Macerata. – Nota su ‘Oralità e scrittura’ di Walter J. Ong. In: Quaderni di Ricerca e Didattica: Sistemi Segnici e Loro Uso nella Comunicazione Umana, n. IX, 1993. Dipartimento di Filosofia e Scienze Umane dell’Università di Macerata. – Gli ipertesti e la comunicazione multimediale. In: Quaderni di Ricerca e Didattica: Sistemi Segnici e Loro Uso nella Comunicazione Umana, n. XIV, 1995. Dipartimento di Filosofia e Scienze Umane dell’Università di Macerata. – Narrativa ipertestuale? Non ancora, grazie. In: Quaderni di Ricerca e Didattica: Sistemi Segnici e Loro Uso nella Comunicazione Umana, n. XVIII, 1997. Dipartimento di Filosofia e Scienze Umane dell’Università di Macerata. – Hypertextuality. In: Inkinen, Sam (ed. ), Mediapolis: Aspects of Texts, Hypertexts and Multimedial Communication. Berlin & New York: De Gruyter, 21–43. – The Babysitter. In: Pricksongs and Descants. New York: New American Library. – The End of Books. The New York Times Book Review June 21, 1992. – Novels for the Computer. The New York Times Book Review August 29, 1993. – Il gioco del mondo. Torino: Einaudi. Delany, Paul & Landow, George (eds.) (1990). – Hypermedia and Literary Studies. Cambridge-London: The MIT Press. – What is Hypertext? <http://www.teleport.com/~cdeemer/essay.html>. – The Humanities in Cyberspace: How the Internet is Changing Teaching and Scholarship in the Humanities. The Oregonian, 1994. Available also at <http://www.teleport.com/~cdeemer/humanities.html>. Durand, David & Mylonas, Elli & Renear, Allen (1993). – Refining Our Notion of What Text Really Is: The Problem of Overlapping Hierarchies. <http://www.stg.brown.edu/resources/stg/monographs/ohco.html>. – Dall’albero al labirinto. In: Oliva, Achille Bonito (ed. ), Luoghi del silenzio imparziale. Milano: Feltrinelli, 39–50. – The Role of the Reader Explorations in the Semiotics of Texts. Bloomington: Indiana University Press. – A Theory of Semiotics. Bloomington: Indiana University Press. – Lector in fabula. Milano: Bompiani. – Poles in Your Face: The Promises and Pitfalls of Hyperfiction. Mississippi Review Web, Vol 1, No. 6, September, 1995. <http://sushi.st.usm.edu/mrw/1995/06-jurge.html>. – How the Secondary Orality of the Electronic Age Can Awaken Us to the Primary Orality of Antiquity or What Hypertext Can Teach Us About the Bible with Reflections on the Ethical and Political Issues of the Electronic Frontier. <http://www2.baldwinw.edu/~rfowler/pubs/secondoral/>. – Borderline. In: Rovelli, Carlo, I percorsi dell’ipertesto, Bologna and Roma: Elettrolibri, 117–143. Garassini, Romano & Pandolfi, Stasi & Vannini (1994). – Ipertesti e letteratura: Mille altre storie ancora. Virtual, anno 2 n. 15, December 1994, 8–14. – The Changing Shape of Fiction. Utne Reader, March/April 1994, 131–132. Guattari, Felix & Deleuze, Gilles (1980). – Introduction: Rhizome. In: Guattari, Felix & Deleuze, Gilles, Mille Plateaux. Paris: Les Edition de Minuit, 9–37. Gray, Chris Hables (eds.) (1995). – The Cyborg Handbook. New York & London: Routledge. – Memorie del futuro. Virtual, anno 2, n.5, January 1994, 10–15. Job, Remo & Rumiati, Rino (1984). – Linguaggio e pensiero. Bologna: Il Mulino. Johnson, Jeffrey & Oliva, Maurizio (nd.). – Internet testualità configurazione. Alla ricerca di una narrativa interattiva non-lineare. <http://www2.comune.bologna.it/bologna/boll900/oliva.htm>. – Notes Toward an Unwritten Non Linear Electronic Text, ‘The Ends of Print Culture’. Postmodern Culture, v. 2 n. 1, September 1991. – Selfish Interaction or Subversive Texts and the Multiple Novel. In: Berk, Emily & Devlin, Joseph (eds. ), Hypertext/Hypermedia Handbook. New York: McGrow Hill, 79–92. – Of Two Minds: Hypertext Pedagogy and Poetics. University of Michigan Press. – Writing For the New Millenium: The Birth of Electronic Literature. <http://wordcircuits.com/kendall/essays/pw1.htm>. – Hypertext. The Convergence of Contemporary Critical Theory and Technology. Baltimore & London: The Johns Hopkins University Press. Landow, George, P. (ed.) (1994). – Hyper/Text/Theory. Baltimore & London: The Johns Hopkins University Press. – The Electronic Word: Democracy, Technology, and the Arts. Chicago: University of Chicago Press. – Lineal and Nonlineal Codifications of Reality. In: Dolgin, Janet L. & Kemnitzer, David S. & Schneider, David M. (eds. ), Symbolic Anthropology: A Reader in the Study of Symbols and Meanings. New York: Columbia University Press, 151–164. – The Rational of HyperText. <http://www.village.virginia.edu/public/jjm2f/rationale.html>. – Communication Models for the Study of Mass Communications. London & New York: Longman. – Bypassing Intertextuality. In Heinrich, F. (ed. ), Intertextuality. Berlin & New York: De Gruyter, 30–59. – Essais sur la signification au cinema. English Film language; a semiotics of the cinema. New York, Oxford University Press. – Representing and Interpreting Literature by Computer. <http://www.ualberta.ca/~dmiall/complit.htm>. – Introduzione al pensiero complesso. Milano: Sperling & Kupfer Edition S.p.A.
– In the Zones. Hypertext and the Politics of Interpretation. <http://www.ubalt.edu/www/ygcla/sam/essays/zones.html>. – Toward a Paradigm for Reading Hypertexts: Making Nothing Happen in Hypermedia Fiction. In: Berk, Emily & Devlin, Joseph (eds. ), Hypertext/Hypermedia Handbook. New York: McGrow Hill, 65–78. – You Say You Want a Revolution? Hypertext and the Law of Media. In: Amaran, A. & Unsworth, J. (eds. ), Essay in Postmodern Culture. New York: Oxford University Press. <http://www.people.virginia.edu/~tsawyer/DRBR/moulthro.591>. – A Subjective Chronology of Literary Hypertext. <http://raven.ubalt.edu/staff/moulthrop/chrono.html>. – Literary Machines. Swarthmore: Theodor Holm Nelson. – Xanadu in Suspension; Long Live Xanadu! In: The Ted Nelson News Letter, Number Three, October 1994. <http://www.sensemedia.net/370>. – Hypertext & Hypermedia. San Diego: Academic Press. – Orality and Literacy. The Technologizing of the Word. London & New York: Methuen. – Reading/Writing Hyperfictions: The Psychodrama of Interactivity. Leonardo, vol. 28, no. 4, August 1995, 265–272. – Reading Cooperation in the ‘Forking Paths’ of Hyperfiction. In: Wohlmuth, Sonia Ram’rez & Stavig, Ward (eds. ), Selected Proceedings of the Third Biennial Conference on Culture, Technology and Change in the Americas. Tampa: University of South Florida, 76–79. – Verso una teoria e filosofia semiotica della comunicazione umana prevalentemente verbale. In: Annali della Facoltà di Lettere e Filosofia dell’Università di Macerata, XXII-XXIII. Macerata, 621–641. – Language as a Written Medium. In Collin, N. E. (ed. ), An Enciclopaedia of Language. London & New York: Routledge, 207–243. – Interpretation and Translation in a Semiotic Textological Framework. In: KOIN‰. Annali della Scuola Superiore per Interpreti e Traduttori, 1–2, San Pellegrino. – The Recursive Universe. New York: William Morrow and Co.
– Labyrinths of Reason: Paradox, Puzzles, and the Frailty of Knowledge. New York: Anchor Press/Doubleday. – Galatea 2.2. London: Abacus. – Esercizi di stile. Torino: Einaudi. – Cent mille milliards de poémes. In: Oevres complétes. Paris: Gallimard. – The New Publishing: Technology’s Impact on the Publishing Industry Over the Next Decade. The Public Access Computer System Review 3, No. 8 (1992), 5–63. – Tree Fiction on the World Wide Web. <http://lucilia.ebc.ee/~enok/tree-fiction.html>. – Dans le Labyrinthe. Paris: Les Editions de Minuit. – I percorsi dell’ipertesto. Bologna & Roma: Elettrolibri. – Composition N.1. Paris: Editions de Seuil. – Tracing the Growth of a New Literature. Computer-Mediated Communication Magazine, Volume 3, Number 12, December 1, 1996. Available also at <http:// www.december.com/cmc/mag/1996/dec/shumate.html>. – Reading Hypertext: Order and Coherence in a New Medium. In: College English. Volume 52, No. 8, December, 870–883. – Music and Noise: Marketing Hypertexts. Postmodern Culture. Volume 7, Number 1, September. – Verso un futuro ipertestuale? Semio-News, III, n.8, March 1993, 3. – Note sugli ipertesti. Semio-News, III, n. 8, March 1993, 7. – Teorie della comunicazione di massa. Milano: Bompiani. – Virtual Worlds. London: Penguin Books. Have you ever wondered what a character in a print novel was talking about when they mentioned something in the past? Or some idea that you don’t really understand? Well, this is what hypertext fiction can help you with. It gives you extra information on a character, an idea, a brief glimpse of the past, etc. It’s like when a person reads JK Rowling’s Harry Potter on an e-book: if the reader does not understand a what happened in Harry Potter’s past that is brought up in a conversation, then the word “past” can be a hyperlink that can be clicked on to bring the reader a small synopsis of what happened in his past. This can be considered by a lot of people a more interesting thing to read, except for a group of journalists at the University of Helsinki think differently. Ed. M. Yla-Kotola, J. Suoranta, S. Inkinen, and J. Renne wrote an article called, “The Shaping of Hypertextual Narrative”, and they believe that hypertext fictional stories are “anonymous, cold, impersonal, chaotic, inconclusive”. This group of journalists discusses all the problems with hypertext fiction and why it is bad, but I disagree on a lot of their reasons why they dislike it. Since some of their points are opinion-based on how they feel as an individual, I cannot really argue if that is how they felt from reading with hypertexts. But, it is important for them to keep in mind that this is only the beginning of the era of hypertext fiction and it will improve over time. They should also keep in mind that other readers may have dramatically different kinds of experiences with hypertext fiction. One thing the journalists do not like about hypertext fiction is that the endless hyperlinks. They think of it like a maze where if you go off and wander to a different path, it will lead to another path, and then become an endless journey. What I think about this is that sometimes people can gain pleasure of allowing their brains to wander. It’s like when people have different opinions of certain foods. A classically-trained chef may not like a certain dish just because it is not made in a traditional way and it tastes a little bit weird to him or her, but another person who likes food may taste that same dish and love it. Another reason the journalists offer for their dislike is that in order to enjoy reading something, it must include a captivating-plot. They argue that the struggle with finding a captivating-plot in hypertext fiction makes them react with a sense of uneasiness towards the unknown. They claim this by referencing Aristotle’s Poetics and how his traditional description of a plot has maintained unchanged for over two millennia. Well, there are several print novels that are not plot-based too – and this tradition goes back for centuries. And this means that there are many readers who enjoy reading stories that are not plot-based. Finding pleasure is a matter of an individual’s taste and how they perceive what is being read. For something new like this to arise and label it almost impossible to read by these journalists is demeaning. On the contrary, I understand when people want to have a beginning and an end. This is because so you can talk about it with your friends and family and say, “Oh, I have read that story!” – instead of mentioning that you are still reading that very same story. Then, the people who are reading that story might have not read the same parts as you because they took a different path of hyperlinks. This makes it hard to talk about the story because some people might have not read the same thing. But, perhaps in the future, people can chat about this in a more positive way and discuss the different paths they have taken and fill-in each other in with details on how much the story has changed. But it seems like a majority needs to get used to the realm of hyperlinks within a fictional story first. What I respectfully suggest to these journalists is that hypertext fiction will improve over time because they just came out in the 1990s. The authors of hypertext fiction just needs to go over a few stepping-stones to pursue hypertext fictional stories that a majority can like. What I respectfully suggest to Samra Eskender, author of the above comment, is to read the essay she criticizes before writing about it. If she really had read the essay, then she could have at least realized that the essay is written by one author, Sergio Cicconi (but of course she doesn’t even mention my name) and not by a “group of journalists”. I (the author of the essay) don’t even care to reply in depth to the objections contained in the comment. It would be enough to READ the essay to see that I am saying exactly the opposite of what Samra Eskender wants me to say.